When Rolling Stone magazine hailed his new album Give Thankx as 'the first satisfying album Jimmy Cliff has made since the soundtrack to The Harder They Come in 1972'. The Jamaican singer/songwriter turned to an American audience with the powerful Roots Radics players alongside him. Cliff conjures up a storm of classics from The Harder They Come and produces snapshots from his latest work in this stunning set, recorded on a cold November night in Chicago, 1978. It is a fitting homage to his legacy both as an artist and as a performer. 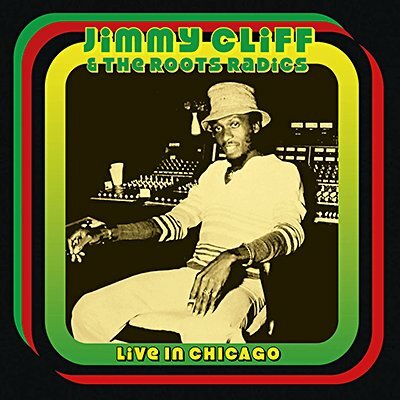 Klondike proudly presents the entire WXRT-FM broadcast of Jimmy Cliff and the Roots Radics in performance at Park West, Chicago on 11th November 1978. Professionally re-mastered original FM broadcast with interviews, background liners and rare archival photos.